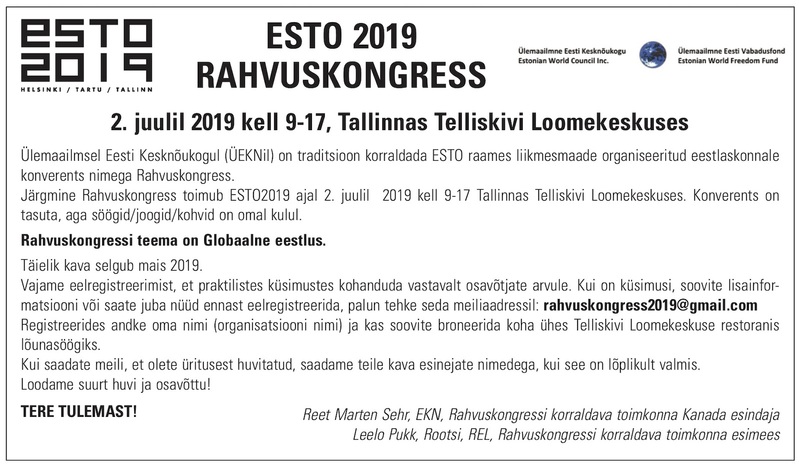 Toronto - The Estonian Central Council in Canada, representing nearly 40,000 Canadians of Estonian heritage, is encouraged by a letter that was sent to Lithuanian MEP, Inese Vaidere by Walmart, declaring that they would remove all products that display Soviet symbols. Members of the Estonian Central Council were among the first activists to start the campaign to remove these items from Walmart and other large online retailers on August 27, 2018, after which the campaign became a global phenomenon. The Estonian Central Council worked with other CEE communities in Canada to issue a joint statement on behalf of the 4 million Canadians that are represented by the CEEC asking for the items to be removed. 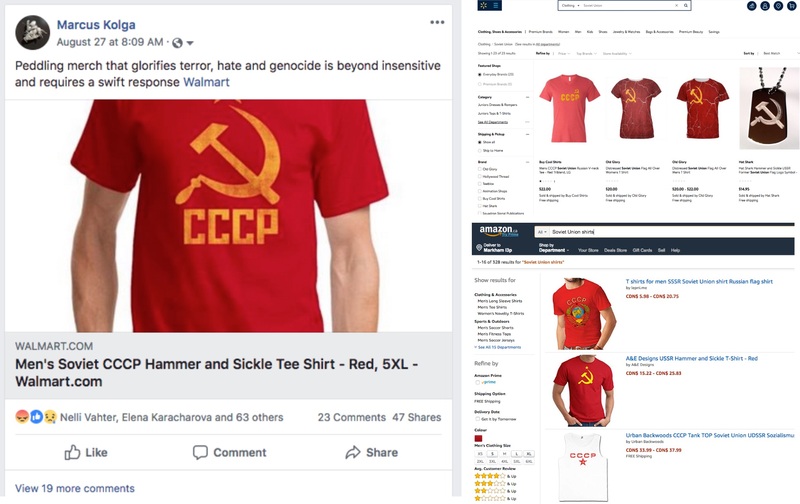 Large online retailers such as Walmart and Amazon should not promote, and profit from, shirts and other merchandise that glorify the Soviet regime and the genocide and terror in which it engaged. The Estonian Central Council urges all provincial and municipal governments to ban these symbols from being displayed public parks and venues.